So the Esri GeoDesign Summit is in full session, or at least we know it is because at least two people showed up. Matt (one of the lucky two) showcases the latest Esri nitiatives being demonstrated at Esri’s shindig. Bernie Szukalski, product strategist and technical evangelist at Esri, spoke today at the GeoDesign Summit about ArcGIS Online initiatives and coming capabilities. Web mapping has morphed from sharing maps and geospatial information to a geospatial content management system that supports collaboration. The new iteration allows for the publication and sharing with others, as well as the access to rich global base data through cloud services. So yea, da cloud roxxorz! We’ve all tried to figure out what ArcGIS Online is (beyond the kitchen sink of Esri’s cloud), but this week it’s content management. Maps can be shared with others by making them publicly available, sharing a link or embedding in a website or blog. Additional content can be found via the gallery where maps are vetted by the community, with ratings and comments. These maps contain documentation with details regarding the source, providing metadata that allows you to understand how they were created. There is also flexibility in how these intelligent maps can be accessed, with options to open in your desktop, open in Explorer Online, and in the map viewer. If you dropped off the turnip truck, you probably like most of that paragraph. Sounds like a nice open shared world, where everyone wins. But the last sentence leads to the truth about ArcGIS Online and their vision of content management. Flexibility in the sense that if you’ve standardized on Esri’s suite of ArcGIS products, you can share their proprietary formats. 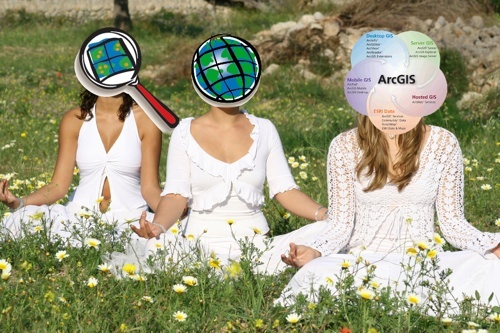 Things like ArcGIS Server, File Geodatabases, Layer files and the rest are not formats we can share with the world. Lets look at it this way, SharePoint is Microsoft’s Content Management System. Imagine if Microsoft only allowed you to upload Microsoft file formats. Crazy right? But that is what ArcGIS Online is. Sure you can upload shapefiles, but those really are so limited you can’t really store data in them. There is a reason why nobody uses DBF anymore. No, you have to use Layer Packages, MXDs, etc to get any “value” out of ArcGIS Online. It is a little better on the server-side, Esri supports WMS (probably so they can check off OGC support in some contracts), but nothing else. ArcGIS Online is what it is, an Esri Content Management System that lets you share Esri files with other Esri users. I don’t fault Esri for creating such a product, they feel there is money to be made doing this. But let’s not pretend it is a GIS content management system because it just doesn’t support open standards let alone other formats such as TAB, DWG or whatever Intergraph is doing these days. It is an Esri File Management System. But what does that really mean? 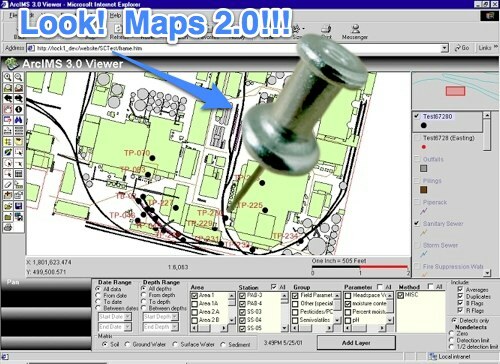 Basically Esri’s ArcGIS Online is Google My Maps, but with $10,000 client software. Creating a map to share with Esri’s online APIs doesn’t make it content management. There is no geneology of data, no lifecycle to the product. Just some simple polygons or pushpins on a map that at its core isn’t what customers want. The biggest reason why Esri is pushing ArcGIS Online so much is that Google Earth Builder is a direct play toward some vision that Esri has to where GIS may go in 2012/2013. The problem with both solutions is that they don’t actually manage your data that goes into your products (the pushpin maps you share during GIS Day 2012). The important data is still strewn across hard drives and servers in your organization just hoping that it will never get lost. That doesn’t sound like progress to me and the focus is not on workflows but some mythical federal contract that the big boys are fighting over. Cutting edge maps have pushpins on them. UPDATE: Looks like I missed Sean McGinnis’ take on ArcGIS.com a couple weeks ago.